What do some of the top web designers have up their sleeves for 2017? In an industry that thrives on innovation and creativity, it's no surprise that the web design trends that are sure to make an impact in 2017 both push boundaries and embrace clean simplicity. This infographic explores seven trends that are sure to make a big impact in the web design world this year. There's something for every style of designer here, from clean and tidy to chaotic and daring. It starts with open composition, a style in which elements appear to be leaving the screen, giving visitors the impression that elements still exist somewhere outside the monitor. A trippy and intriguing concept. Asymmetry might be more up your alley if you like to colour outside the lines every now and then. No need to strive for perfect balance. Explore your wild side and try experimenting with some asymmetrical layouts. Designers are also embracing richer backgrounds and patterns in their designs. The grid pattern is one that is becoming especially more popular. Font-obsessed designers will also be in demand in 2017 with creative typography as part of the main image becoming an important trend. Don't be afraid to let some beautiful typography take center stage. Decorative typefaces can be a great compliment to your main image, or even replace it all together! 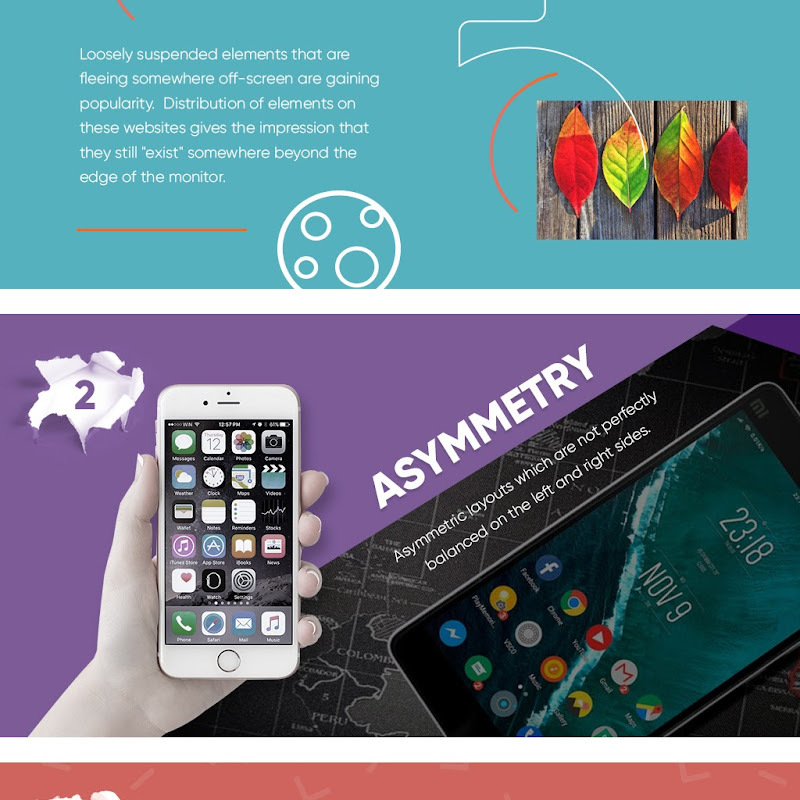 Dive into this infographic provided by My Biz Niche to get a better idea of what design trends will keep you ahead of the curve in 2017 and have the clients clamouring for a piece of the action. Whether you're looking to up your skills in the animation realm or looking to get more adventurous with your use of colour, this infographic will help you but some new tools in your digital arsenal.